Zheng Guogu: In 1994, I produced a work entitled “My Teacher”. It was inspired by a madman who lives on the street. For me , he is like a living sculpture. It was the first time I had considered that mental people in everyday life should be regarded as extraordinary creatures. 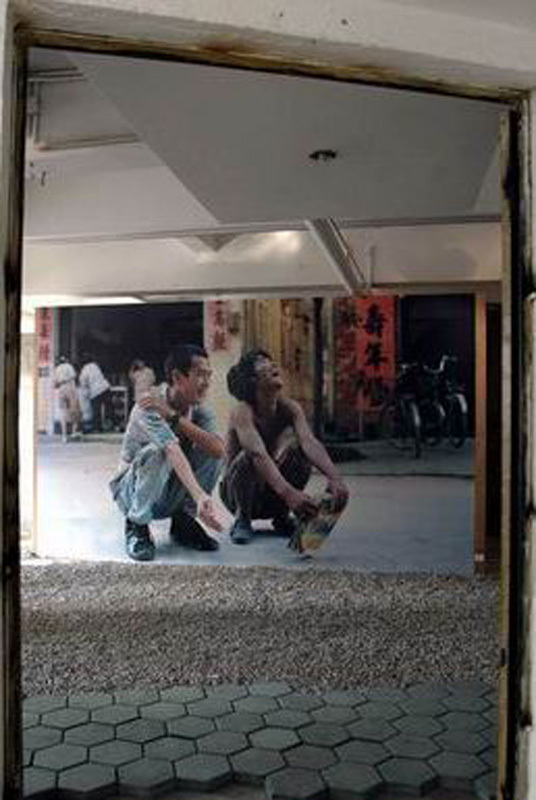 Hu Fang: at time, this work was criticized that it is lack of the artistic elements. Zheng Guogu: It is an interesting comment. My works has created certain distance with others because of very clear missing artistic parts or blankness in my art pieces. On the one point, these missing artistic parts could help audience find the blankness while they are experience the reality in my work. Nevertheless, the energy of art comes from avoiding and getting away from artistically making art. The artworks are less artistic creation, but more creation for the reality.